The only United Russia deputy to vote against an unpopular measure to raise the retirement age earlier this month has defied calls for her resignation. The proposed pension reform has been met with a public backlash that included protests across the country led by trade unions and opposition parties. The United Russia party reportedly issued a gag order on criticism of the pension reform to its members. 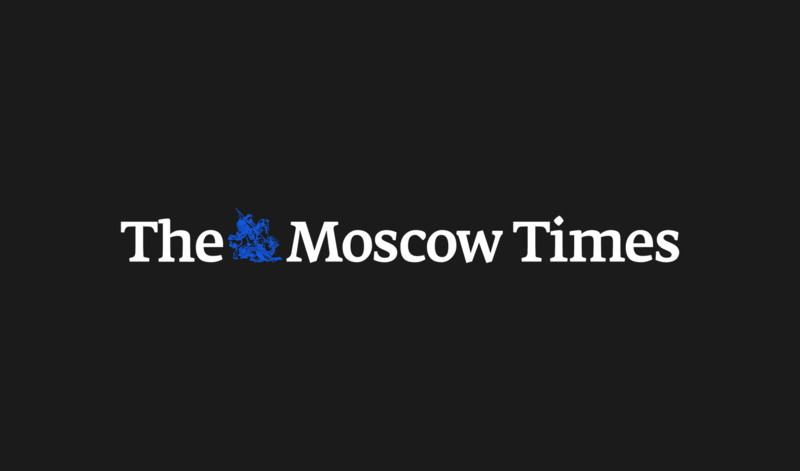 Natalya Poklonskaya cast the United Russia party’s sole dissenting ballot in a State Duma vote on on July 19 to advance legislation to raise the retirement age. After Poklonskaya’s rare show of defiance to the party, the Duma’s deputy speaker and leading United Russia deputy, Sergey Neverov, suggested that Poklonskaya had violated party discipline and should reconsider her membership. Brushing off criticism, Poklonskaya said she had no intention of leaving the party. “The voters chose me. The leadership entrusted me with the work that I’m carrying out in good conscience, so no,” Poklonskaya told Interfax on Thursday. An anonymous United Russia source told Interfax that Poklonskaya’s membership in United Russia could come into question after the Duma’s summer recess. 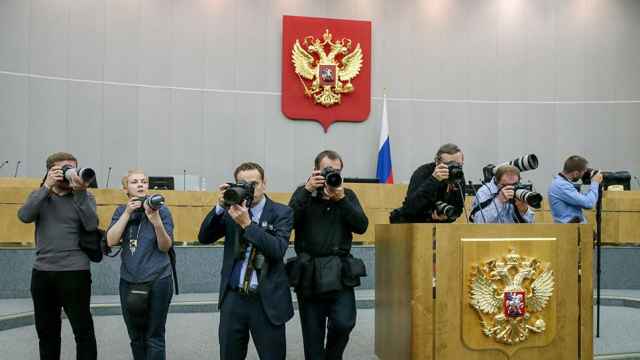 On Thursday, Interfax reported that fifteen of the seventeen members of a committee charged with overseeing lawmakers incomes snubbed a meeting chaired by Poklonskaya. “But parliament is a serious organization,” Interfax quoted Poklonskaya as saying. She vowed to report her colleagues’ behavior to Duma speaker Vyacheslav Volodin. Another senior United Russia party member who was conspicuously absent during the pension reform vote, general council deputy secretary Sergei Zheleznyak, has stepped down from his seat, the RBC news portal reported Thursday. 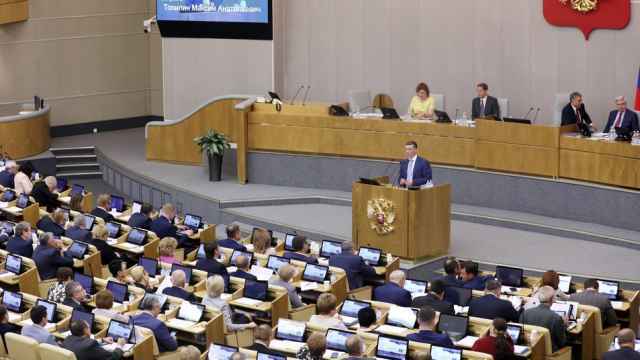 Zheleznyak was one of eight United Russia deputies who were absent at the July 19 vote, according to the Duma’s database. Both anti-Kremlin activists and Communist lawmakers spoke out against the proposed pension age increase. The deputy told female journalists complaining of harassment to "tuck their tails between their legs a bit." 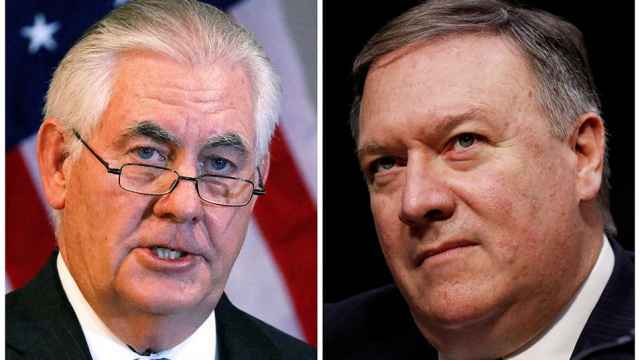 Russian senators expressed cautious optimism over Mike Pompeo's nomination.